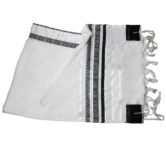 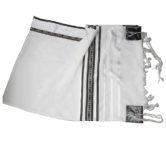 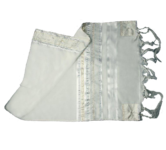 This tallit set whose fabric has a smooth feel and shiny look makes the perfect gift for any age of Jewish women. 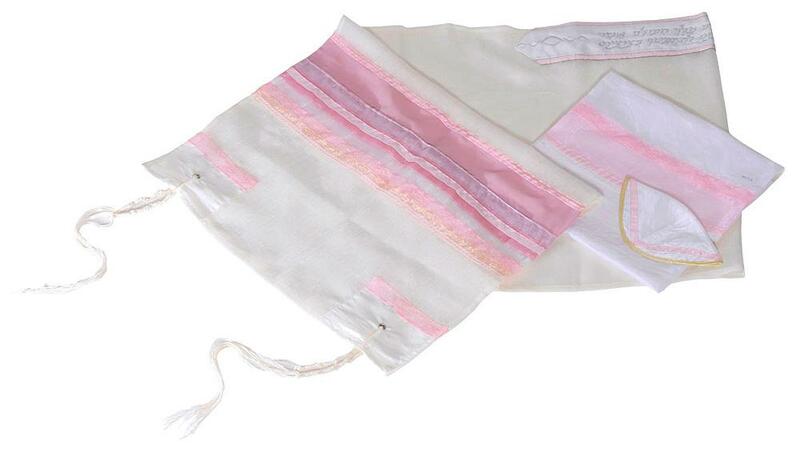 Softly flowing lines of accented pink shades and bands of the same color of silk, they all combine to provide this religious shawl with an extremely elegant and individualized look. 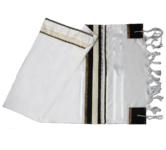 The Hebrew letters discretely displayed on the neck band enhance the beauty of this tallit set containing a shawl made of silk, a matching kippa and a bag.